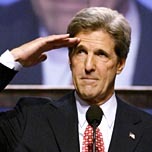 2003 and 2004 saw an even more concerted effort since it was a presidential election year and Democrats unleashed self proclaimed “war hero” John ‘f’in Kerry (who is rumored to have served in Vietnam) running on an anti-war ticket reminiscent of his early 1970’s anti-war effort. A brave group of aging Vietnam Veterans, Swift Vets and POWs for Truth stood up to expose Kerry’s nefarious claims, only to be faced with distortions, lies and misrepresentations from both the lamestream media and Democrat Party who thought Kerry was their “ace in the hole” to regain power. Kerry’s “the wrong war, in the wrong place at the wrong time” repeat of the words once spoken by General Omar Bradley and former President John F. Kennedy failed to unseat President George W. Bush. Bad war press seemed to be the norm as long as George W. Bush was in office and even after he left we still see bad press concerning his leadership, crediting Barrack Obama with successes set in place by Bush. For example, the claim of Obama got the Troops out of Iraq. No mention that they left under a Status of Forces Agreement negotiated and signed by Bush before Obama was in office. And now we see Obama trying to score political points with the killing of Osama bin Laden, taking all credit for himself when he did little more than watch it on television as the intelligence set place by Bush led US Navy Seals to bin Laden, prompting some to condemn Obama’s grab of all credit to himself. The lamestream media can’t be bothered to report that, though. No, he isn’t so much concerned over what the lamestream media reports as he is over what individuals do that might make the press. Of course, when Bush was in office, we heard cries of “the Troops have free speech too” and how important it was that their words be heeded. As Marine Sgt. Gary Stein discovered, that same sentiment does not apply now that the Obama regime holds power. We saw how ‘bad war press’ affected the outcome of the Vietnam War. We see how such ‘bad war press’ elongates the current War on Terror, costing more lives on both sides. We have seen how such “bad war press’ was an integral part of the lamestream media’s first amendment right to Freedom of the Press. But now, it doesn’t seem to be as much of an integral part. Obama seeks reelection, Democrats wish to hold power in the Senate and Democrats have hopes of retaking power in the House of Representatives. 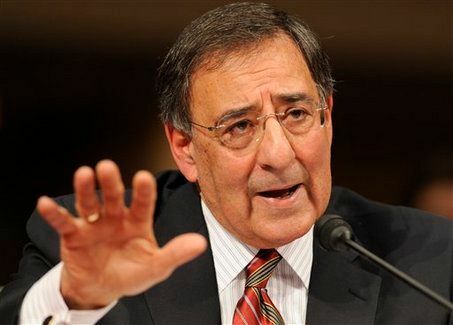 Make no mistake, Panetta’s “warning” has more to do with winning an election than with actual concern over our war effort. The only war that matters to Democrats is the war to radically change America into what we never were.